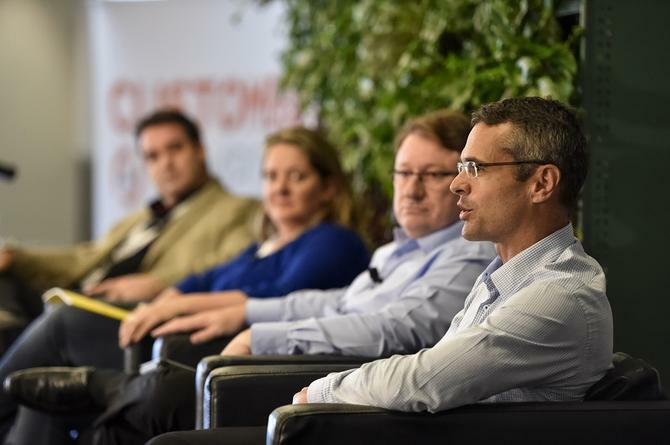 During a panel session at the Customer360 Symposium in the Hunter Valley, representatives from NIB Health Funds and Super Retail Group shared how they are joining the dots between offline and online in order to improve interactions with their customers. In both cases, a clear alignment of staff and process is vital. NIB Health Funds chief marketing officer (CMO), Rhod McKensey, explained the organisation has established a formal customer framework designed to tackle four key areas of engagement: Reducing failure demands; making it easier for customers to do routine transactions online; providing superior service in ‘moments of truth’; and delivering ‘wow’ experiences. “What we are trying to do is make customer experience a differentiating factor for our business,” McKensey told attendees. A dedicated customer service team oversees delivery of the customer plan, and is also responsible for embedding business improvement capabilities and developing a culture of continuous improvement across NIB, he said. Other tasks include refining customer centric processes that improve acquisition, retention as well as internal efficiencies; and developing tools that enable people to have access to the right information at the right time, and in the right format. As an example of the framework in action, McKensey said NIB launched a systematic program to listen to 600 hours worth of calls to the contact centre and better understand why they were calling. It found 30 per cent of calls were because the brand had failed to do something it promised. “We do have extensive NPS [Net Promoter Score] usage across the business, but it doesn’t give us the level of insight we achieved by listening to those calls,” he claimed. One consistent problem for customers was that their membership card didn’t work when they went to visit the dentist or optometrist. Although call centre consultants had devised a workaround, what NIB needed to do was dig deeper to find the root of the problem and reason to call, McKensey said. It turned out that when Australia got rid of $0.01 and $0.02 currency, IT had designed systems to not support transactions unless they were rounded to $0.05. Another core NIB objective is to provide superior service across the customer lifecycle, such as when an individual joins, is thinking about leaving, has a change in lifestyle and amends their policy, or goes to hospital. Exceeding customer expectations is a major theme of the Customer360 Symposium, and McKensey said NIB is also looking at how to achieve the ‘wow’ factor more regularly. One recent example is giving customers the ability to take a photo of a claim on their mobile phone and have it processed within 24 hours. At Super Retail Group, general manager of marketing, Kevin McAulay, said its customer approach online ties into the wider knowledge that its products are a “means to an end” for customers. The retailer is focused on aligning online and offline through staff and technology. “We realise now that consumers often have more information at hand than our own teams in-store,” McAulay said. “To combat this, when we are building these solutions for customers, we‘re making sure they also work for our team. Ensuring customer loyalty program experiences are seamless regarding of channel is another major customer experience piece for Super Retail Group’s brands, which include Supercheap Auto, BCF, Ray’s Outdoors and Rebel Sport. “With BCF, we have a strong club and we make sure any benefits we put out to these customers feels special to those customers,” McAulay continued. “You don’t automatically get a 10 per cent discount; what we do is drive affinity of the brand through their passion to boating, camping and fishing, and offer club member pricing. Within that we target customers around the products they purchase and give them special exclusive offers.